When it comes to racing, we aren’t going to try and sell you on the idea that the most important thing is having fun. We don’t doubt that you are having a good time, but you are there to win. You want to be the first over the finish line, and you want to look good when you do it. D’cor knows this, and they’ve taken it upon themselves to ensure that you do. D’cor makes a wide variety of decals, grip tapes, and seat covers that will make your bike stand out, whether you’re way out in front or in the middle of the pack. Here at Dennis Kirk, making our bikes one of a kind is something that we strongly believe in. That’s why we’ve stocked a great selection of D’cor graphics and decals for all of you, our loyal customers. We’ll give you a rundown on a couple of the products in our selection. One of our favorite products that D’cor has produced are their full body graphics kits. These kits give your bike a full makeover, giving it a custom appearance that is sure to stand out on the track. It’s important to note that these kits, along with seat covers and grip guard decals, are model specific. 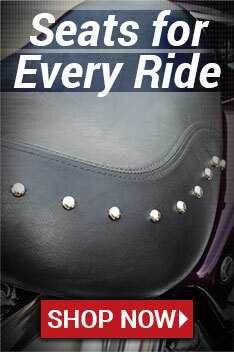 To find the kits that will fit your bike, go to the top of the page and put in your bike’s make, year, and model. Then we’ll get rid of the decals that wouldn’t fit your bike anyways. There are also plenty of decals that aren’t bike specific. You can find decals and stickers from all of your favorite brands, and decal sheets of numbers are a great way to sport your number on the side of your bike. Once you have found what you came for, place your order! We’ll have your order shipped out the same day it’s placed, and if your order is over $89, we will even ship it out for free. Thank you for shopping D’Cor visuals at Dennis Kirk.